… if you can’t keep yourself in rein, before the first riding hour starts! 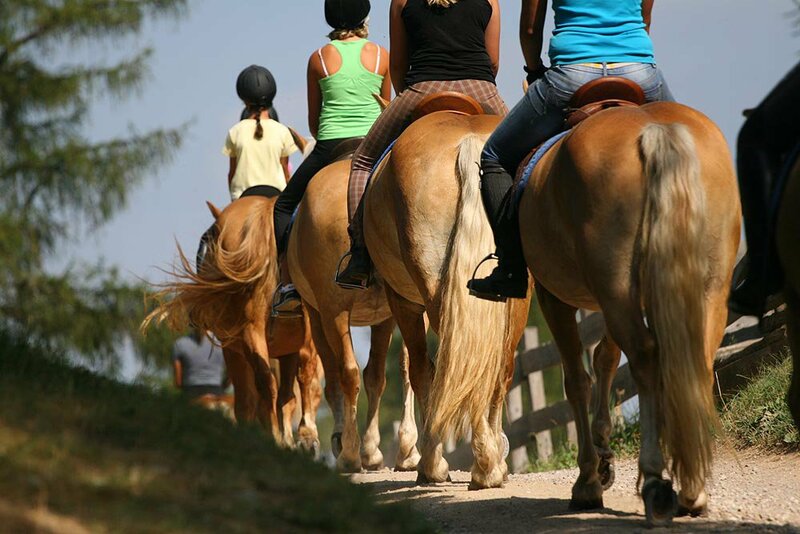 … if you feel surer day after day on horseback! … if suddenly you realize, why the horseshoe is a lucky symbol! 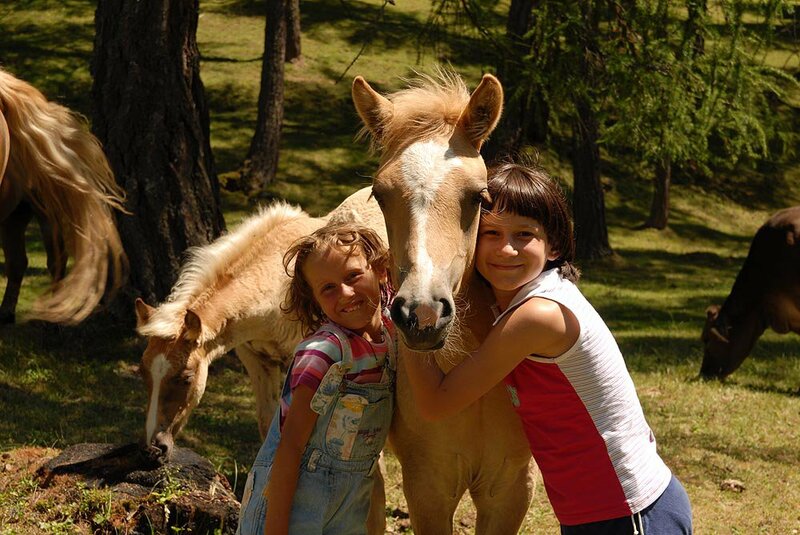 San Genesio is the homestead of the Haflinger horses. Also our family has been keeping on the growing tradition of this fascinating alpine horse race. Currently we are hosting 3 broodmares and 1 stallion. 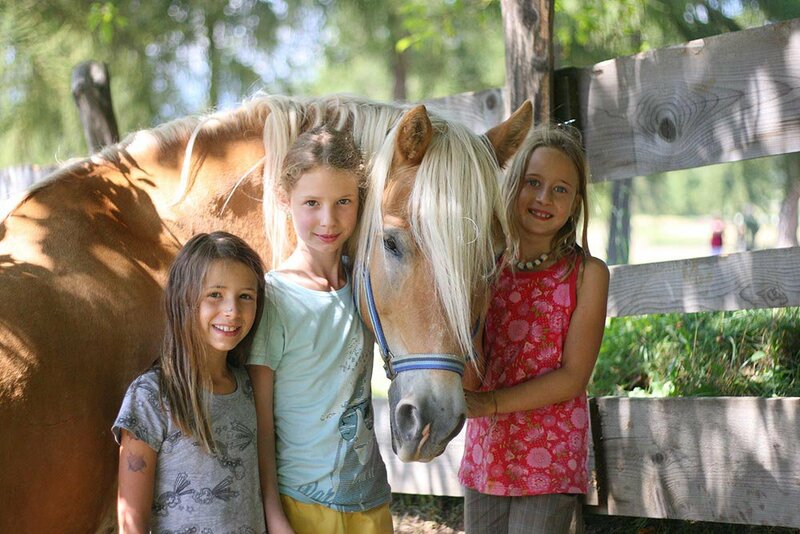 In our horse farm 8 well prepared school horses and 10 slip-proof Haflinger horses wait for you to leave for wonderful rides to Salto and in the surroundings. 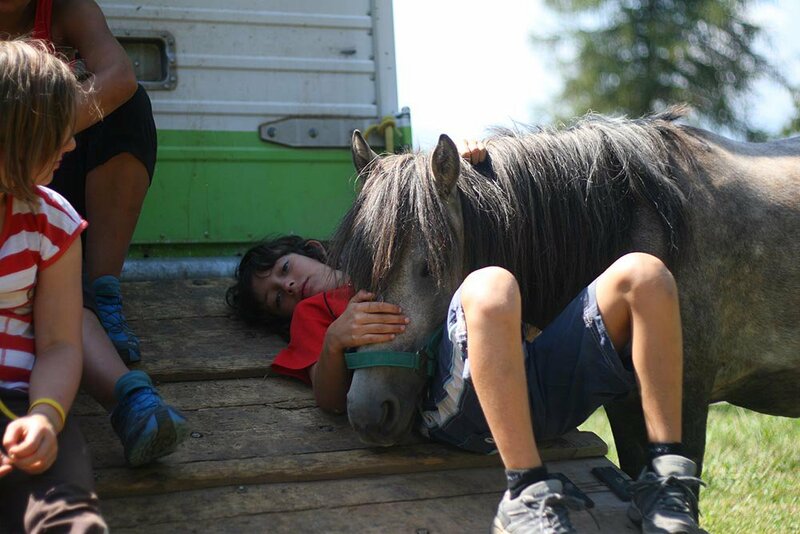 We think also to your children: they can experiences their first horse rides on our 8 Shetland ponies in our breathtaking landscape. Did we convince you? So there is actually only one answer: your next riding holiday will be in south Tyrol! 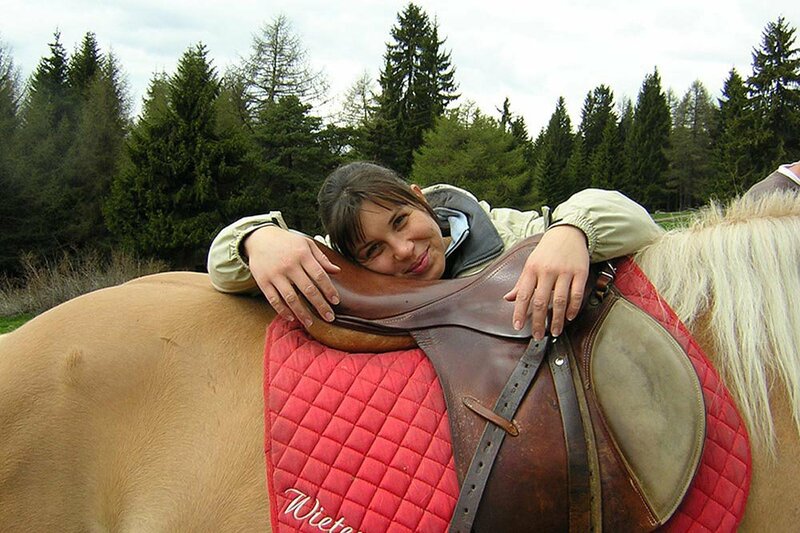 It doesn’t matter if you can already ride on horseback or if this is your first time: with us you can perfection your capabilities, becoming more and more confident. For this reason we offer you riding weeks, which include regular rides with breaks in many alpine inns. 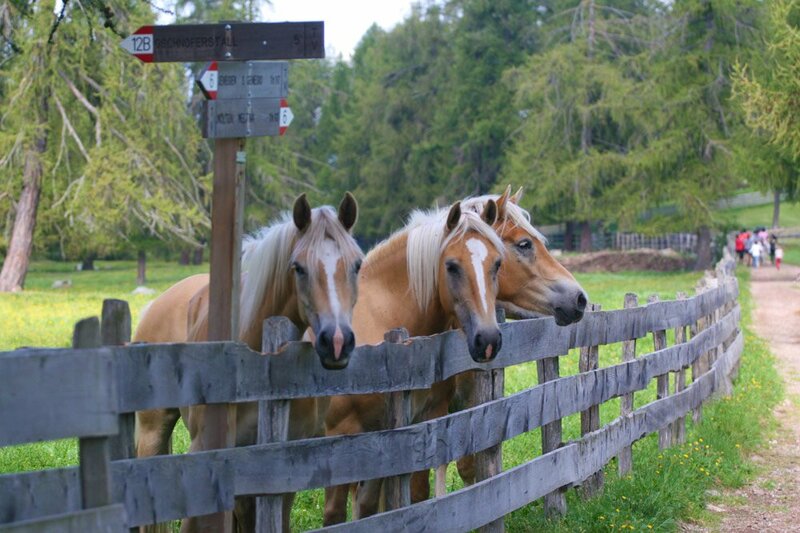 In this way you can also know better our South Tyrol, you will have it in your heart even before one of our Haflinger will bring you back to the farm. Up there on horseback, you know, the world is so beautiful. 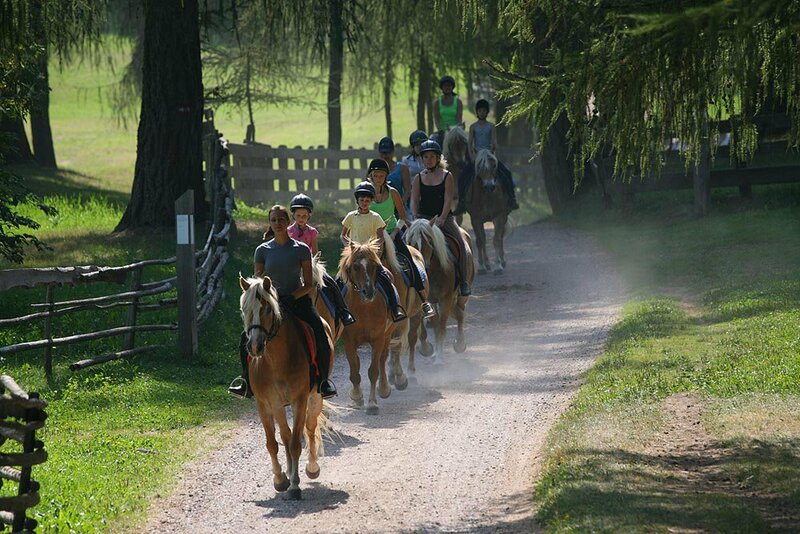 For these riding weeks we will be glad to prepare you a plan proposal, according to the requests of your group. The minimum number of participants is 4 persons. 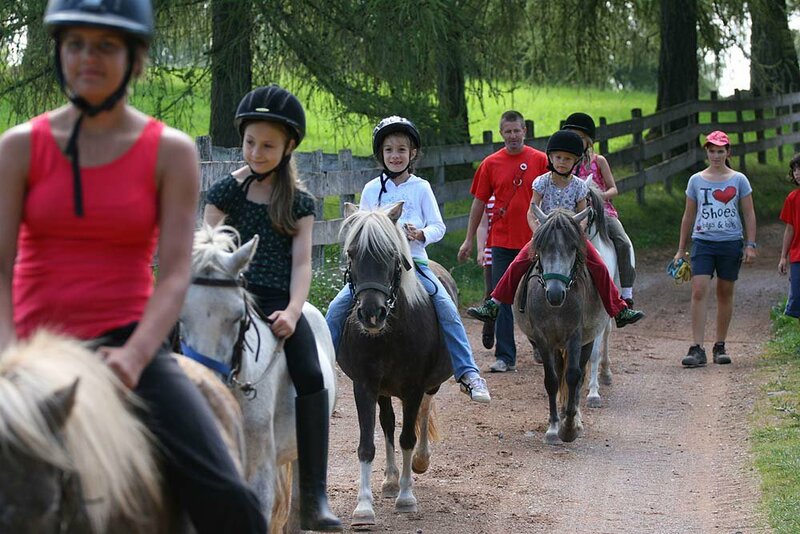 For many children this is a long-cherished dream: a holiday at the horse farm. 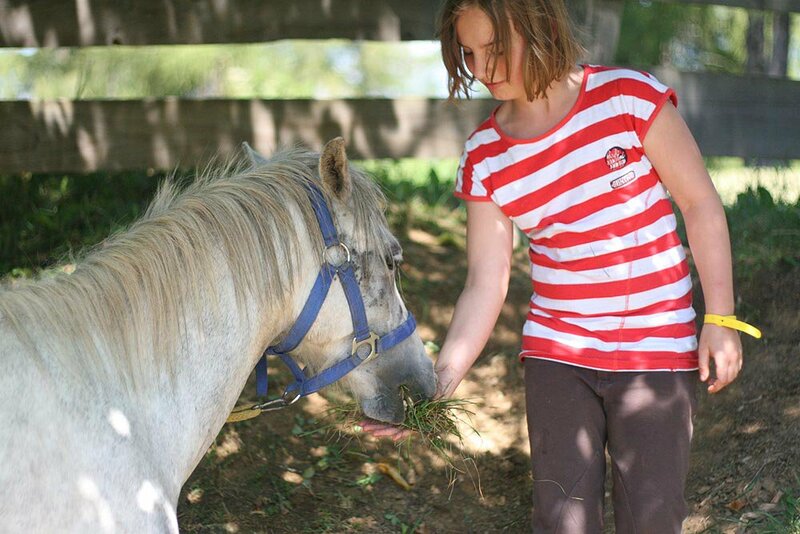 Cleaning and feeding the horses, learning to ride or generally improving the own style and much more. 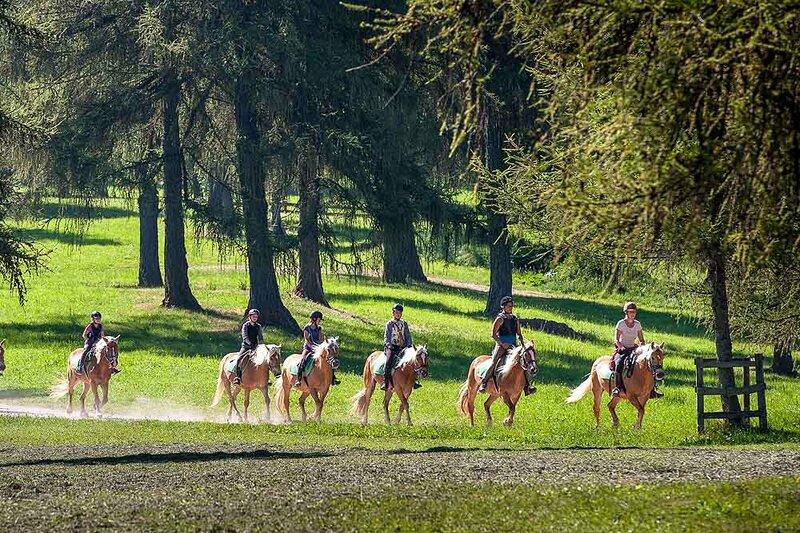 At the Wietererhof farm we will be glad to fulfill these desires, Who will spend a riding holiday at our farm will receive a complete offer from professional riding lessons to tours and rides on the Salto high plateau. 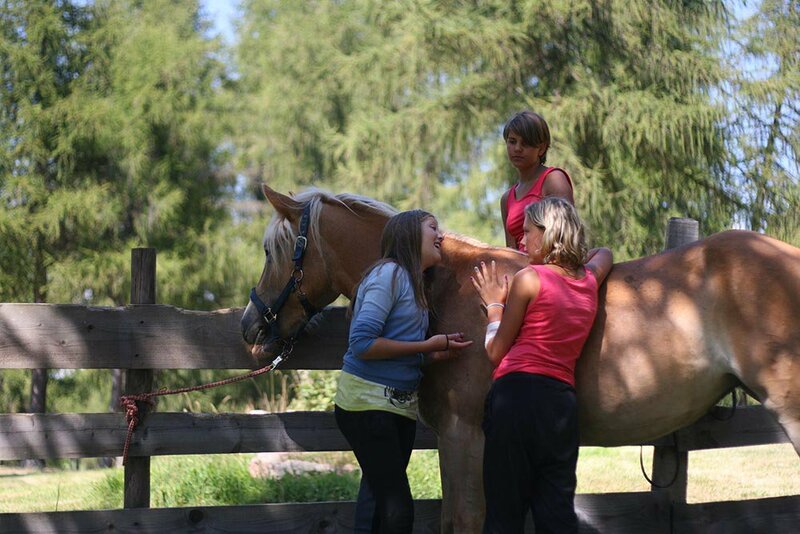 Here with us in San Genesio there is no kind of limit for horse lovers, this is the horse town ever. 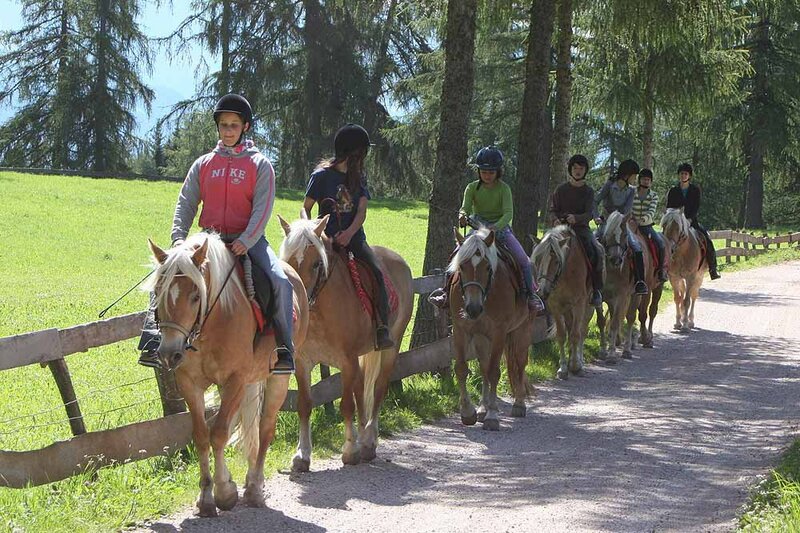 You can ride on all trails and paths, through our larch woods and over our soft alpine meadows, enjoying nature on horseback, perceiving how the wind blows in your hair, experiencing this freedom sensation: ride at a gallop on the Salto, wherever you want. 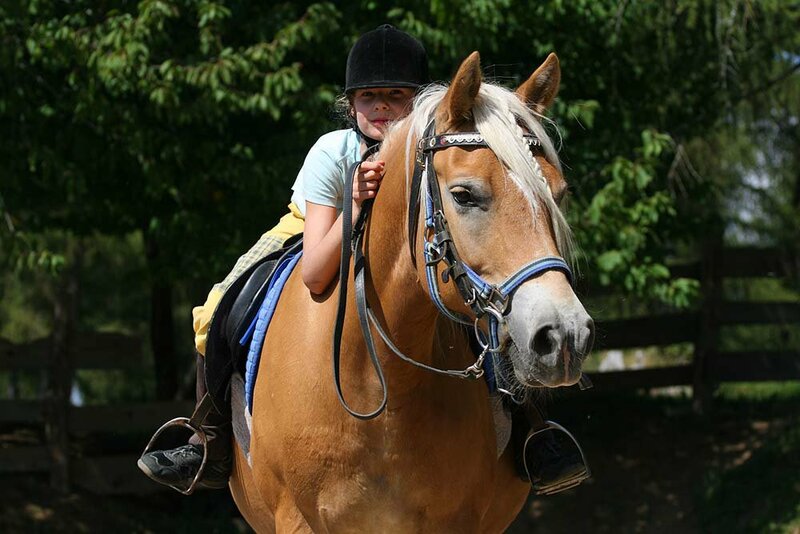 Let our Haflinger really stride! 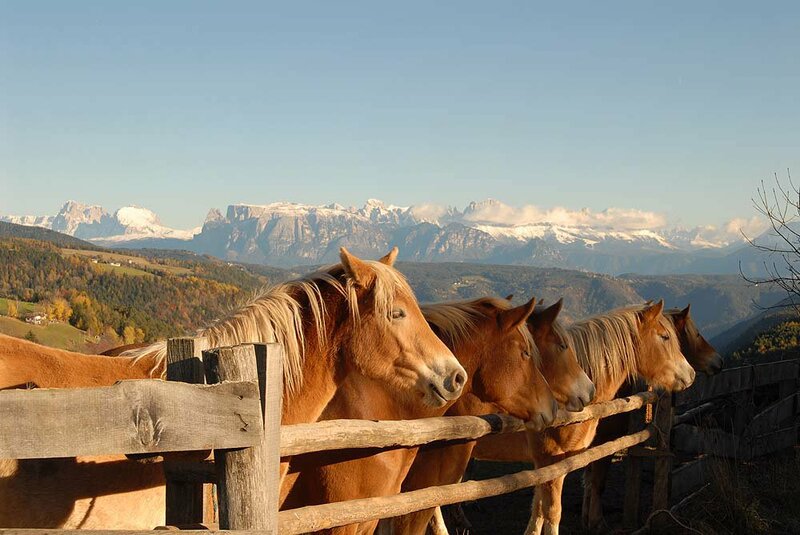 With the panorama view over the Dolomites you will have the sensation that the horseshoes swirl over the clouds. You can choose to make these sensational rides alone or in guided tours for a few hours or half a day. 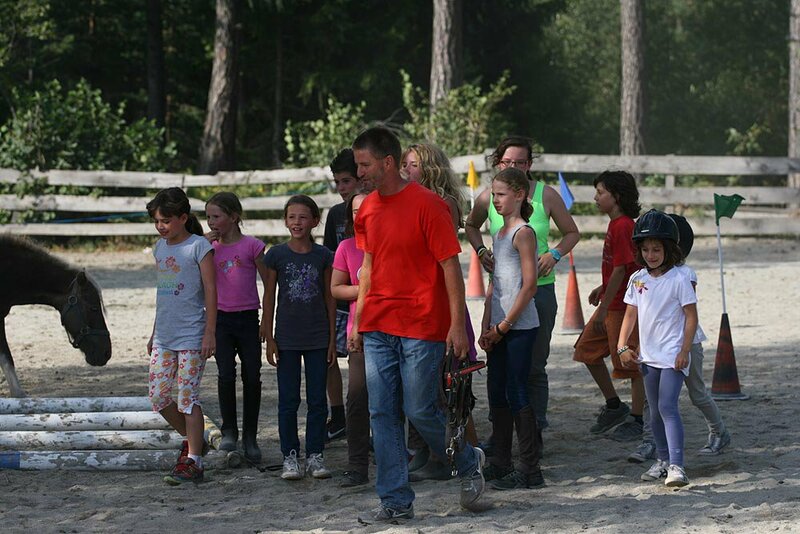 Our qualified riding guide will be at your side for any help. 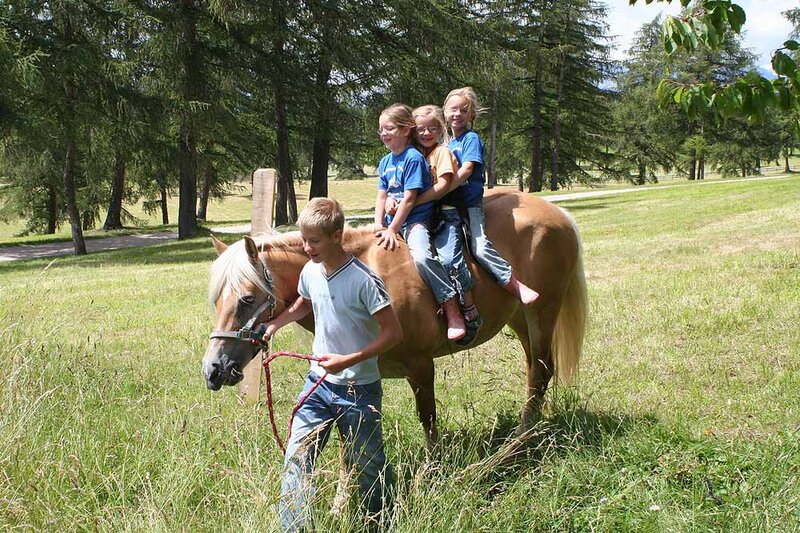 With us you can re-discover the passion for these nice Haflinger horses, who trot with their blond crest. Do you want bring your own horse? No problem. For your horse we have guest boxes in our newly built stable and eight hectare pasture. For sure he will feel at home and scent the clean air!